Fear – the most irrational of emotions we can ever experience. We don’t dance like maniacs after walking through a spidersweb because we are exhillerated by it, no, we dance about, smacking ourselves, making noises that cause the neighbourhood cats to hide because we think that a massive spider is crawling down our shirt, or waiting patiently in our hair for the right time to bite through our scalp and turn our insides to juice. Poor spider. Some massive, lumbering clumsy giant just invaded and destroyed it’s home and it’s made out to be the bad guy. Poor thing’s probably hiding in the only remaining corner of it’s web pinching itself in disbelief! 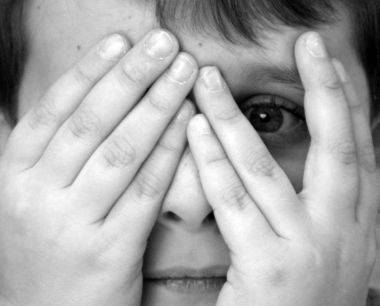 Fear makes us do irrational things, it whispers to us in the dark assuring us with a 100% certainty that there is someone hiding under your bed, that those shadows are an axe wielding mass murder, that your are definately going to plummit from the sky in fiery rage the next time you board a plane. Yet the most irrational thing fear does to us, is that it paralyses us. It stops us dead in our tracks, or causes us to turn on our heel and run away. We don’t go to the doctor’s because we are afarid that little lump may be a little bit more nasty than just a little lump, we don’t check under the hood of our car because if something’s wrong that means it needs to be fixed, which means money that we just don’t have. Yet this stalling is doing us more harm than good. Obviously dealing with a small lump, or looking under the hood early gives you a good chance of dealing with a problem before it gets worse. The sad thing is we know this, and while we are fearful about it happening, we take a good long look at our life and say, “it can’t/won’t happen to me” and we go huddle in the corner, worrying and fretting over it. The fear has halted you, yet you feel justified, because it won’t happen to you. I’m not here to say it will. I’m saying that if you’re afraid of the dark turn on the light. Nothing can hide in light. So where does fear come from if it doesn’t come from God, why does he even let us experience fear? Fear to me stands for: False Evidence Appearing Real. Basically something is making you believe that something that is not likely to happen is going to happen. We are the worst at telling ourselves what our own limitations are, or what others think of us, because we try to put ourselves in that situation, ask ourselves how we would react, cloud our judgment with our own nervous fretting, and before you know it, we’re stuck in a bear trap of fear. But that’s not the way it should be. God created us with a spirit of power, love and sound mind, meaning he gave us all the tools we need to beat fear. You see the devils biggest tactic against those working for the kingdom of God is to stop them. You’ve got a target on your back, and he will do anything he can from stopping you from advancing the kingdom of God. You see, he’s vindictive, his mindset is “If I’m going down I’m bringing as many as I can down with me.” And stopping you in your tracks is the best way he can ensure the kingdom of God is not spread amongst the people. Those whispers in the night, those harsh self doubts and denials are the enemies lies, and accusations. He plants the seed of doubt, that seed grows into fear, and that fear if not dealt with can rule us! A sound mind. God has given us His mind, His wisdom, the ability to rationalise and realise. If you fill your mind with the Word of God, nothing, and I repeat NOTHING the enemy can throw your way can succeed! Don’t be filled with fear, Let God be light in your darkness, and watch as the shadow flees upon the encroaching brilliance of the light! Remember when you have Jesus, You have the power. And that fills Satan with Fear!